Transportation and Telecommunications Minister Kamal bin Ahmed Mohammed congratulated Bahrain Airport Company (BAC) Chief Executive Officer Mohamed Yousif Al Binfalah on being elected as a director on the Airport Council International (ACI) Asia-Pacific Regional Board, the governing body overseeing regional policy development and fiscal management. Al Binfalah is the first Bahraini to hold this international position and will serve for a period of three years. The announcement was made by the board at its regular meeting in Hong Kong on the sidelines of the ACI Asia-Pacific/World General Assembly, Conference & Exhibition 2019. He joins his BAC colleagues serving on ACI Regional Committees, including Vice President of Information & Communication Technology, Najwa Abdulrahim who serves on the ACI World Airport IT Standing Committee (WAITSC); Vice President of Human Resources, Hind Mahmood who serves as Second Vice Chair on the Regional Human Resources Committee; Vice President of Strategy Implementation & Business Improvement, Leena Faraj who serves on the ACI Regional Economics Committee; Director of Airside Operations, Abdul Hakim Al Shaibani who serves on the Regional Operational Safety Committee; and Development & Technical - Trainee Tahleeq, Dana Ahmed, who serves on the Regional Environment Committee. “This result is a point of pride, which reflects the ability and talent of Bahraini nationals to hold senior international positions in general. It also demonstrates international confidence in the Bahraini professionals working in the aviation sector. Through its expertise and professional management, Bahrain has proven its ability to contribute to the progress and development of all sectors related to aviation. This demonstrates the Kingdom’s unlimited potential to lead the aviation sector towards new levels of excellence. BAC and its partners have made important contributions to the Airport Modernisation Programme that will help to ensure the successful and timely completion of this huge national development project,” the minister said. 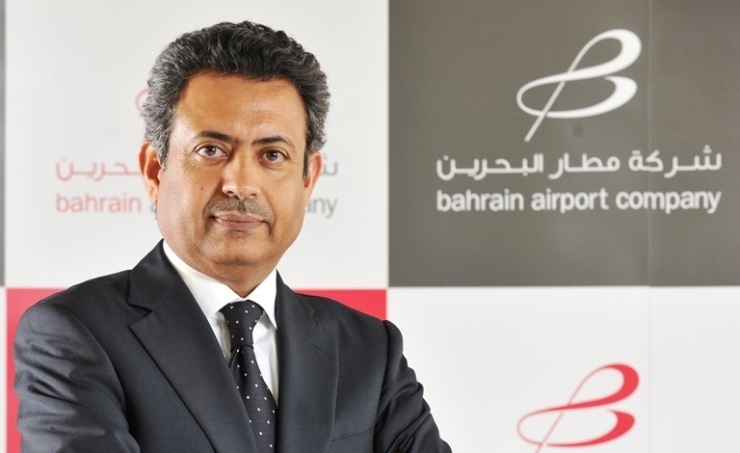 He added that having such prominent BAC team members in these important roles also shines an international spotlight on Bahrain and showcases Bahrain’s reputation as an important aviation hub in the region. ACI represents the world’s airports and their collective interests. It promotes professional excellence in airport management and operations, and works closely with prominent aviation organisations, such as the International Civil Aviation Organisation and the International Air Transport Association, to develop standards, policies, and recommended practices. The ACI Asia-Pacific Regional Board represents the interests of more than 600 airports in 49 countries and territories, which account for over 90 per cent of commercial air traffic in the Asia-Pacific region.